Healing Children of Conflict and Schuler Books welcomes Palestinian-American writer and human rights activist, Susan Abulhawa to the Schuler Studio for a discusion and booksigning of her new novel, Mornings in Jenin. Susan Abulhawa reads from Mornings in Jenin. susan abulhawa on tour for Mornings in Jenin. Susan, Abulhawa reads from Het litteken van David. Susan Abulhawa's book Mornings in Jenin was available from LibraryThing Early Reviewers. 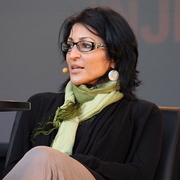 Susan Abulhawa is currently considered a "single author." If one or more works are by a distinct, homonymous authors, go ahead and split the author. Susan Abulhawa is composed of 4 names. You can examine and separate out names.